Frost tender evergreen shrub with red striped flowers. To 60cm. [JD, PD]. 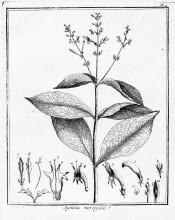 Described by Aublet in 1775 as Justicia variegata [Hist. Pl. Guiane vol.1 p12/1775]. Placed in the newly proposed genus Pulchranthus as Pulchranthus variegatus by Baum, Reveal and Nowicke in 1983 [Systematic Botany vol.8, p.216/1983]. This is the name now generally accepted for this plant. Introduced to Britain in 1825. [JD]. Listed only in the 1857 catalogue [T.615/1857]. Seemingly now rare in cultivation. ‘The Justicia variegata of catalogues is probably not the J. variegata of Aublet and the botanists, but is very likely a variegated-leaved form of some Jacobinia.’ [Cyclopedia of American Horticulture vol.2, p.851/1909]. It is possible that this was also the case in England decades earlier. 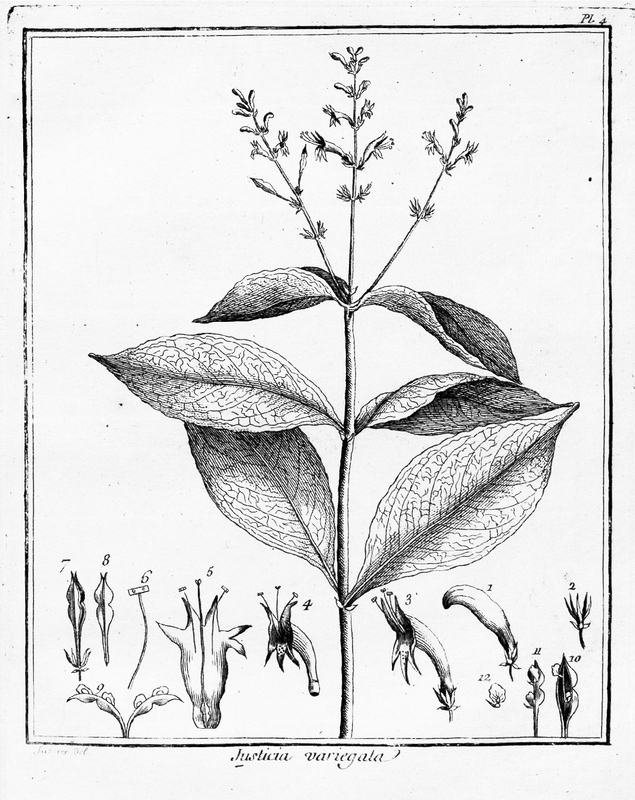 A specimen of ‘Justicia variegata, with dark blotched leaves’ exhibited at a meeting of the Royal Horticultural Society suggesting that this was the case [Proc. RHS vol.3, p.281/1863]. Included on the 1997 IUCN red list of threatened plants as an endangered species.